asap is used in all my facial treatments, it is Australia's number one cosmeceutical skin care range, offering scientifically proven skin care solutions for women and men of all skin types. An effective treatment, designed specifically to help young skin prone to breakouts. Significant hormonal changes can occur during the teen years, resulting in increased oil production and congestion. This treatment will decongest the skin and stimulate the healing process, revealing a cleaner, glowing complexion. It’s not just your classic facial, it’s an hour long indulgent relaxing treatment from head to toe. asap's DNA regeneration treatment uses the latest scientific technologies to assist in the repair of cellular DNA damage, minimising the effects of biological and premature ageing. Using Teleomere Technology and a number of highly active complexes, this treatment will result in younger, radiant, healthier looking skin. This relaxing and simple skin treatment will help minimise the signs of ageing, reduce the appearance of fine lines and improve skin tone and texture, revealing a clearer, firmer looking skin. The ideal treatment to plump and saturate life back into dull and dehydrated skin, this super hydrating facial will cleanse the skin of impurities and allow asap products to infuse deeply into the skin, leaving a bright, hydrated and younger looking complexion. Immerse the skin in ultimate. Every day skin is exposed to environmental stresses such as pollution, smoke, and damaging free radicals. 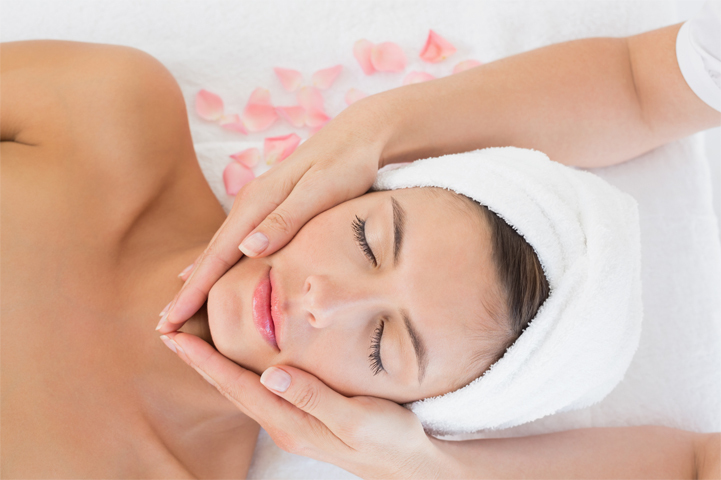 This stimulating facial is designed to combat these ageing stressors and is suitable for both sensitive and dry skin. Potent and effective antioxidants will rejuvenate and revitalise, leaving skin feeling smooth, firm and radiant. Using active ingredients and antioxidants, this revitalising treatment, ideal for mature skin, promotes cell turnover, stimulates collagen and reduces pigmentation. asap products work together to prevent the signs of premature ageing by minimising fine lines, thickened skin and uneven skin tone. A series of peels is recommended to achieve optimal results. 35% lactic acid peel softens fine lines & wrinkles, targets pigmentation & sun damage, stimulates collagen & elastin, leaving skin feeling smooth & hydrated. Visible peeling is unlikely. Suitable for acne, problematic, mature and sun damaged skin. 40% glycolic acid deeply exfoliates excess dead skin, softens fine lines, wrinkles & hydrates the skin. Stimulates collagen & elastin. Visible peeling is unlikely. Suitable for mature, pigmentation and sun damaged skin. 35% blend of lactic, salicylic & glycolic acids provide an advanced layered peeling treatment to improve skin texture & restores a fresh, smooth more youthful radiance to the skin. Visible eraser peeling may occur 3-5 days’ post application. This treatment uses Vitamins A,B,C & DNA renewal treatment to intensely nourish, regenerate and hydrate most skin types. Minimise the signs of ageing, reduce the appearance of fine lines & improve skin tone & texture, revealing a clearer, firmer looking skin. This treatment uses Vitamins A & B, clear complexion gel & soothing gel to soothe, clear & heal acne, promoting clearer, smoother skin with a decrease in inflamation and redness. Using active ingredients and antioxidants, this rejuvenating clinical grade skin treatment promotes cell turnover, stimulates collagen while also reducing the appearance of fine lines. ( this treatment incorporates a chemical peel and requires skin prep 2 weeks priorto the treatment) Radiance serum. This treatment uses asap lactic peel combined with Vitamin A,B,C and DNA renewal treatment to intensely nourish, regenerate and hydrate most skin types. Vitamins A,B,C and DNA renewal treatment are deeply infused for maximum absorption and hydration. asap gym for the skin workouts provide results-driven treatments tailored to your individual needs to reach your skincare goals for beautiful healthy skin combining a mini facial & peel in one. Treat acne from below the surface of the skin with this super effective treatment to clarify, soothe & prevent skin impurities. Gentle exfoliation combined with optimum levels of glycolic acid will treat acne & provide a thorough cleansing regime for oily & blemish prone skin. Skin is left clearer, smoother & refreshed. The rejuvenation workout provides an instant recharge for dull skin & treats a range of skin concerns including dryness, skin congestion & break-outs. The combination of effective exfoliation methods in this workout will provide noticeable results & a refreshed, radiant complexion. A combination of lactic & glycolic acids used. The replenish skin workout provides the ultimate hydrating treatment for tired, dull or dry skin. Encourages beautifully hydrated skin, softened fine lines and smooth, even surface. Lactic acid used in this treatment. Effectively treating uneven skin tone, sun damage, fine lines & wrinkles, this gentle & non-invasive workout is a potent weapon against skin ageing. Skin will be left feeling smoother, with a soft healthy glow. Combination of lactic, salicylic & glycolic acids used. The skin pigmentation workout delivers a brighter & more even complexion. This fantastic workout includes a fast-acting peel treatment to combat pigmentation & sun damage while building collagen & boosting the hydration of the skin. A combination of lactic, salicylic & glycolic acids used. asap's DNA regeneration treatment workout provides an instant boost for sun damaged and ageing skin using the latest scientific technologies to assist in the repair of cellular DNA damage, minimising the effects of biological and premature ageing.